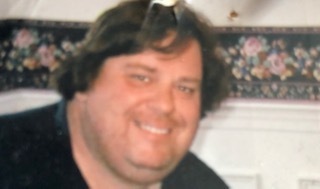 Charles James Kring, 56, of Holliston, passed away unexpectedly on Wednesday, February 13, 2019. Born in Stoneham, he was the son of the late Mary Claire (Foley) and Dyson W. Kring Jr.
Charlie enjoyed the outdoors and all that it offered. Camping in his younger days, sailing and four wheeling. Charlie was a graduate of Waltham Vocational High School. He ran a small copy repair business for years. More recently Charlie was a driver for Quest, Transaction, and other companies. Charlie is survived by three siblings, William N. Kring and his wife Kathy, Nancy M. Kring- Burns and her husband Jim, and Denise C. Kring. 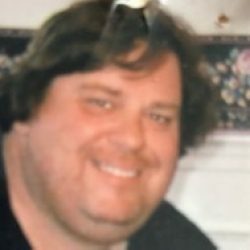 He also leaves behind his aunt, Sister Rena Foley, CSJ, nieces and nephews, Skip, Nick, and Lisa Burns, Bill Kring Jr, and Barbara Kring, as well as his dear friend, Joyce. His brother, Robert G. Kring passed away after a long illness on December 7, 2018.